I am a 32yo woman from Sydney, Australia who absolutely loves cooking, discovering new recipes and techniques and I’m constantly inspired by food! I'm definitely not a professional chef and I don't have a TV show. I just like cooking, just like you. Fish, to taste right, must swim three times -in water, in butter, and in wine. An empty belly is the best cook. HAM AND EGGS - A day's work for a chicken; A lifetime commitment for a pig. Yet another dish I whipped up for our Saturday night rendezvous, I found this a perfect entrée or plate that can be shared with friends when having a few drinks. And it is super easy to prepare as most of the ingredients can be sourced from your local deli, and all you need to do is fry the haloumi, toast the accompanying bread and arrange it on the serving plate. Cut the eggplant and capsicum into slices. Place theses slices into a bowl along with the rocket leaves and toss. Drizzle about one tablespoon Olive Oil over the salad and combined well being careful not to bruise the rocket leaves. Place on to one side of your serving plate. 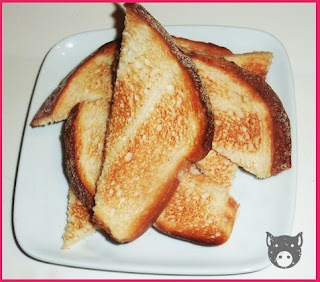 Cut your bread into individual sized portions and toast or grill. Heat a non-stick fry pan to medium heat. Whilst the pan is heating, slice your Haloumi into ½ centimetre thickness strips. Fry the haloumi in the fry pan until just golden. (Over cooking will lead to a dry and rubbery texture). 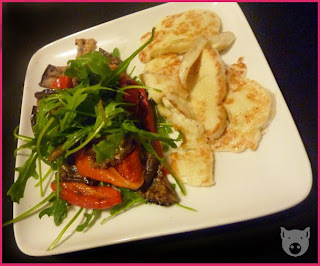 Place haloumi next to the salad on your serving plate. Drizzle the salad with balsamic vinegar and serve with crusty toast. 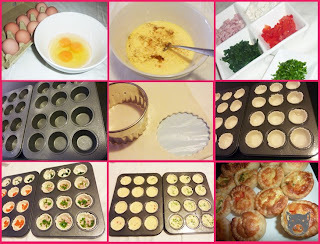 These quiches make great finger food and I made them for a get together we were having at out place on Saturday night. The can be prepared and cooked well in advance and they can be eaten hot or cold, so they are a great option for casual nibbles with a wine or beer! Spray oil onto muffin pan to grease. Using a round cutter roughly the same size as your muffin pan holes, cut circles from each sheet of pastry. Divide your selected toppings evenly amongst your pastry cases. Spoon egg mixture on top off your chosen toppings to cover each topping in each pastry case. Bake for about 20-30 minutes, or until quiches are golden and puffed. 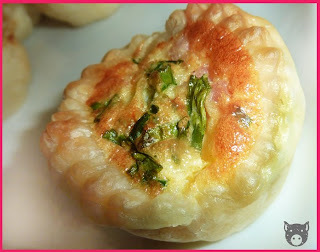 (If pastry is still not cooked on the bottom, cover the top of each tray with Aluminium foil and place back into the oven at a lower temperature for a further 10 minutes). 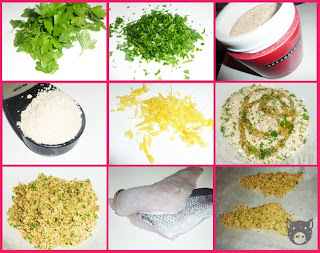 Combine breadcrumbs, parsley, parmesan, lemon rind, and salt and pepper in a bowl. Stir to combine. Drizzle mixture with oil. Stir until breadcrumbs are coated in oil. Place fish, skin-side down, onto a baking tray. Spray lightly with oil. Add a tomato for each person on the same tray. 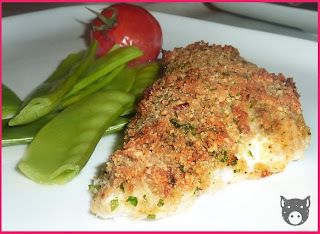 Bake for 15 minutes or until crumbs are light golden and fish is just cooked through. Serve with steamed snow peas, potatoes, oven softened tomato and lemon wedges. Fill a bowl or pan with cold water and add some salt and place the egg in question in the water. If it sinks to the bottom, it is fresh. 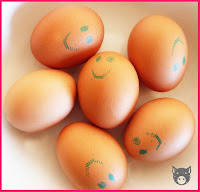 If the egg rises to the top, the egg is no good so discard it and save yourself a belly ache!